Do You Have What it Takes to be an Electrician? There are many people who choose to become electricians because they like the variety of the work. Every day there is something new they need to learn for their profession. The pay is good, and the work is physically and mentally challenging. It provides a very diverse work environment that regularly changes. An electrician can be required to travel long distances to work sites that are far from their home. Working with electricity requires a variety of skills. A person must be physically fit to do this type of work. You need to have a well-developed sense of balance. An electrician should be able to stoop, bend, kneel, or stand for extended periods of time. They will be required to properly handle tools. An electrician has to have excellent hand-eye coordination. An electrician needs to have good mathematical skills. During their work, an electrician will be using math formulas to figure out levels of current, voltage, and resistance. You must correctly measure the electrical flow, which is determined by amps. Resistance will be measured in ohms. Electricians have to know equations necessary to diagnose a circuit. Math also helps to determine the best gauge of wire to use during a project and more. Many times an electrician will be required to follow schematics. This requires a person to be aware of the schematic's details and the ability to carefully follow them. You must know the meaning behind every electronic symbol. You should know how to check your work and make certain the schematic has been properly followed. An electrician will know what is the correct amount of materials and equipment necessary to complete a job. On a project, others will depend on the electrician to plan, install, and upkeep all the electrical components involved. All commercial and residential buildings depend on the abilities of a qualified electrician to keep them operating properly. There is a certain level of danger associated with working as an electrician. It is a profession that requires individuals to always be aware of what is happening around them. People will depend on an electrician to complete their work within a time frame that has been previously agreed upon. An electrician needs to be able to learn in a class setting and with on-the-job training. 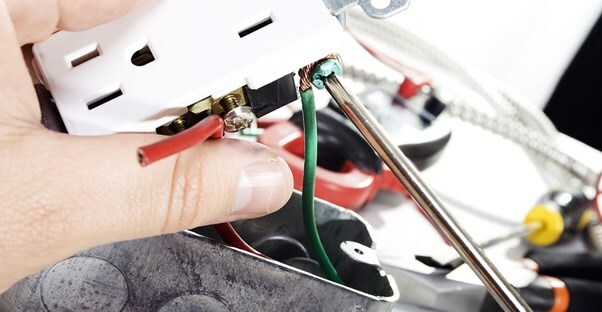 You must obtain an electrician's license in the state where you reside. An electrician will have to pass an exam to obtain a license. The exam will test their knowledge on National Electrical Code, local electrical codes, regulations, and more. They must them complete an apprenticeship that can last up to four years. Each year as an apprentice, a licensed electrician must have approximately 2,000 hours of service. According to the Bureau of Labor Statistics (BLS), the job opportunities for qualified electricians is better than other trades. Industrial Electrician vs. Commercial Electrician: What's the Difference?